At the end of the day, Claressa Shields comes across like someone who just won’t be denied. 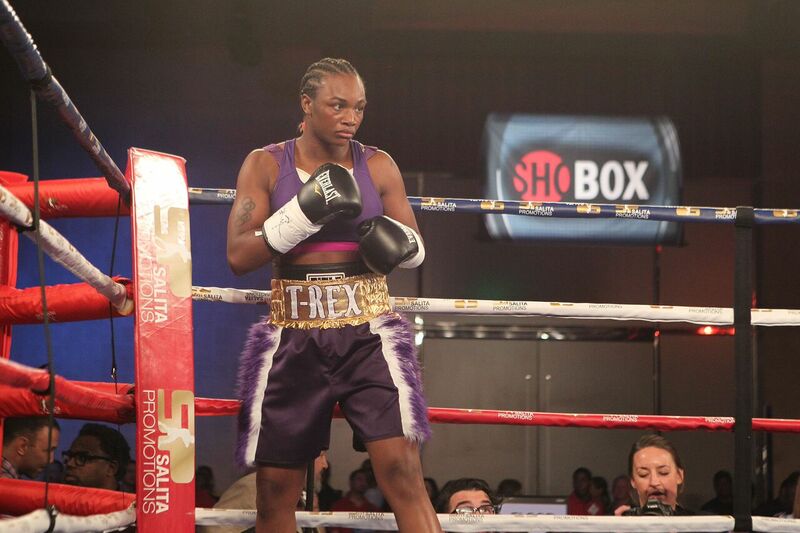 A two-time gold medalist, Shields, who is still only 24 years old, has a professional record of 8-0 (2 Knockouts) and she is also the IBF, WBA, and WBC female champion of the world at super middleweight. Her biggest fight to date is just around the corner, as she will be fighting in a unification match on SHOWTIME vs.unbeaten WBO female champion Christina Hammer this weekend in Atlantic City. There’s no secret that these two talented female prizefighters appear to have some disdain towards one another, as evidenced by some of their words in the press and on social media. Whether it is just to hype the fight or something more personal, it’s made for a great backdrop to their fight. If you ask Shields, she believes Hammer is in over her head. “Hammer signed up for something she shouldn’t have signed up for,” said Shields. “She’s going to get hurt on Saturday. I love that she has an accomplished record. People say I don’t have power or this and that but on paper I’ve been an underdog in most of my fights and I’ve beat all those women. There was a time when women’s boxing was dying for any kind of attention, and you would never expect to see such a matchup on cable. But things have changed, for the better. All you have to do is hop on Twitter and check out Shields’ account to get a sense of how much bravado she has. She can be seen going back and forth with anyone who has something to say, but she insists it’s just natural. Shields and Hammer again came face to face and the stare down was intense. Shields believes she has the mental edge over her opponent. Still, you can sense just how important this moment is for Shields. It’s more than just talk, she’s trying to secure her legacy.